Blog Update 2/4/13- Hopefully, my electricity doesn’t go out tomorrow to postpone my review of Hollow City: Miss Peregrine’s Home for Peculiar Children Book 2. Anyways, the Way of Kings readathon will commence this Thursday: February 6, 2014. It will start with an analysis of the first chapter, discussion questions to deepen your reading, updated tweets utilizing the tag #WOKreadathon. Join the discussion today! Blog Update: 1/7/13- In the coming days, I’ll be updating the calendar of upcoming book reviews, which will have a tidy schedule of all the upcoming book reviews for both January and February. If you regularly read this blog, you are well aware that the blog post below appeared a few months ago. 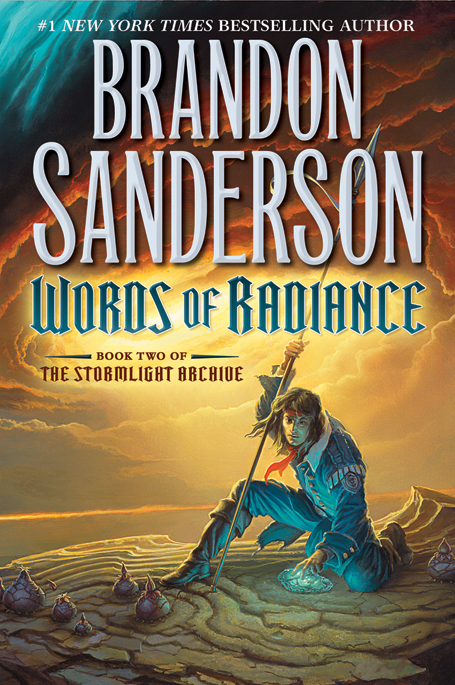 Since I completely forgot to follow through with the promised read through of the first volume of Brandon Sanderson’s Stormlight Archives, I’ll be starting the read-through, sometime at the end of the month. You’ll find all the details below! Even if no one partakes in this readathon this time around, I plan on doing this readathon mainly for myself. See, the current job market has given ample time to be lazy and intellectually inactive, as though I have been lying in hibernation for months. Therefore, the planned Way of Kings readathon is my attempt to reawaken my mind, and revitalize my excitement for the upcoming sequel to one of my favorite epic fantasy novels of 2010. Each week, I will be doing a very thorough post about 5 chapters of the book until the beginning of March, when the next book in the series is released. I am already having some acute doubts about this daunting plan, since my past readathon record is a statistical failure. Nonetheless, I want to try to do this readathon properly this time without confronting the problem of spontaneously losing interest or getting easily sidetracked by other things. Lately, my days have recently felt very interminable and long,; I am hoping this regimen of reading five chapters a week to help rebuild my energy reserves. How can I participate in the readathon? Later this week, I will be constructing an additional page at the top of my blog that will be ideally next to the one, entitled “Countdown to Wolves of Midwinter.” This one will bear the title “Way of Kings Readathon,” which might not sound regal enough for such a majestic book title and appropriately large-scale promotional campaign for the release. Either way, I think “Way of Kings Readathon” supplies all my interested readers with a succinct, enticing summary that will hopefully interest them in joining with the readathon. Stop being so damnably discursive, how can I participate in this upcoming readathon, featuring such an epic novel?? Starting on the first week of February and coinciding with the first of my weekly blog posts here, you can tweet your instant responses to areas of the text by using the hashtag #WOKreadathon via Twitter. I’ll be following suite, and using the same hashtage for all my eloquent or non-eloquent responces to certain areas of the novel that excite, frustrate, or enlighten me. You can add questions, quotations, grievances, youtube links with power metal songs that seem to reflect the high-octane energy of a particuliar action sequence. Essentially, you are free to write anything you want, as long as it is under the Twitter character limit of 150 characters or less. More updates will be coming soon, Keep checking my Facebook fan page for more updates!! Also, you are allowed to start tweeting under “WOKreadathon,” before the official start of the readathon, only if you are are metaphorically dying of impatience about the upcoming release of Brandon Sanderson’s sequel to the Way of Kings. **Download the cover as a variegated, expansive wallpaper that will pervade your mind with wandering nerd thoughts about the sheer bombastic awesomeness that this book will surely contain.